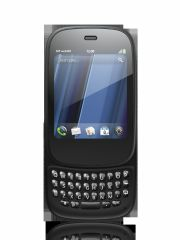 HP today introduced two new webOS phones, the HP Veer and the HP Pre 3. The Veer, targeted more at the everyday consumer, will be available this spring. The Pre 3, designed for professional and entertainment use, will be available this summer. Bigger isn't necessarily better-at least according to Palm, now owned by HP. The HP Veer is apparently as thin as a credit card. It has a 2.6-inch display, which is pretty small compared to the 3.5-inch and larger displays we see on most smartphones today. Although smaller, the Veer packs in some heavy specs. This phone has a 5-megapixel camera, 8 GB of on-board memory, HSPA+ support, Adobe Flash support, and the HP Mobile Hostpot. Powered by the second generation Qualcomm Snapdragon processor, the Veer runs webOS 2.1. The Pre 3 looks a lot like the Pres of the past. HP, which bought Palm and its webOS mobile operating system last year, swears the keyboard is amazing and larger than the previous generations, but I'll have to verify that in my hands-on tests. 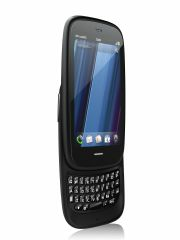 The phone sports a 3.6-inch 480-by-800 WVGA display that is two times the resolution of the first Pre. The Pre also sports HD video capture, a forward-facing video camera, and HSPA+ as well as EVDO Rev. A so it can be used as a world phone. Most intriguing, the Pre 3 has a 1.4 GHz processor. Both phones are Touchstone compatible for wireless charging. HP says that it has developed apps designed specifically for the charging dock. We'll hopefully get our hands on both these devices after the event. Stay tuned for our first impressions. HP today also announced its new TouchPad tablet, which also runs webOS.